Quaint and cozy botique hotel featuring a variety of room types including Jacuzzi suites and sleeping rooms with shared bath. Gourmet continental breakfast served daily. Comfortable and affordable rooms with a central location to Island destinations. 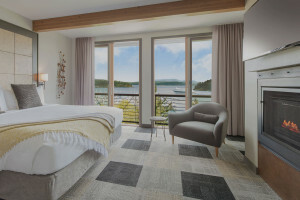 Convenient and comfortable all-suites hotel in downtown Friday Harbor. Charming and comfortable for your San Juan Island Stay. The Islander Resort is a comfortable place to stay convenient to many Island destinations. Boutique Inn located on the edge of Friday Harbor has 5 uniquely decorated guest rooms with common kitchen and living area. Also a stand alone rustic cabin is available. 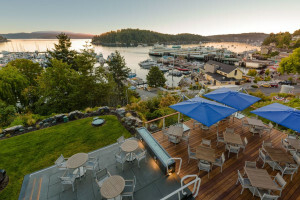 Overlooking the Orcas Island Ferry Landing this historic inn is a great place to stay. The luxurious Moran Mansion at Rosario Resort is an amazing place to stay, dine or have an event.